From the design studio to the marine outdoors, Priscelia and Adam’s passion for their chosen craft and having running as a therapy to the physical demands of their everyday work are an essential mix for a fulfilling career and well-balanced, healthy lifestyles. Even as a child, Priscelia already had an inclination for art. When her parents bought her a computer, the ability to use art-based programs excited her even more and as she grew older and learned more about computer-based design, that passion turned to a fulfilling career of web design. 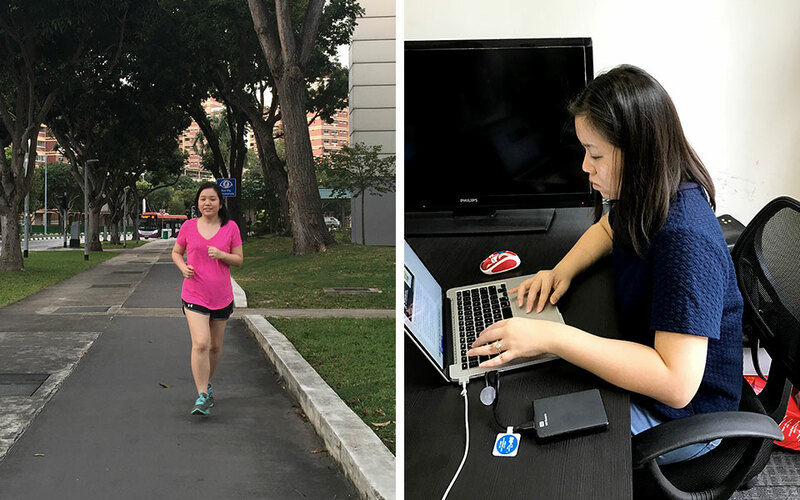 Because she spent so much time glued to her chair and facing the computer screen, the 27 year old professional web designer took up running as a way to stay fit, and as running often does, the sport added balance to her life in those first years. As her career progressed from not just web design but also as a content writer, she challenged herself to run marathons and achieved great success. Priscelia trains hard to keep up her running performance. That is why she need to ensure that she takes care of her body proactively, so as to make her daily work flow with ease and her body protected from the effects of rigorous training. "Having good physical condition is more important now because as part of my content writing role, I test several sports products such as running shoes and then write my review. My knees and joints should always be in good condition,"
Adam is an accomplished diver and likes road running. 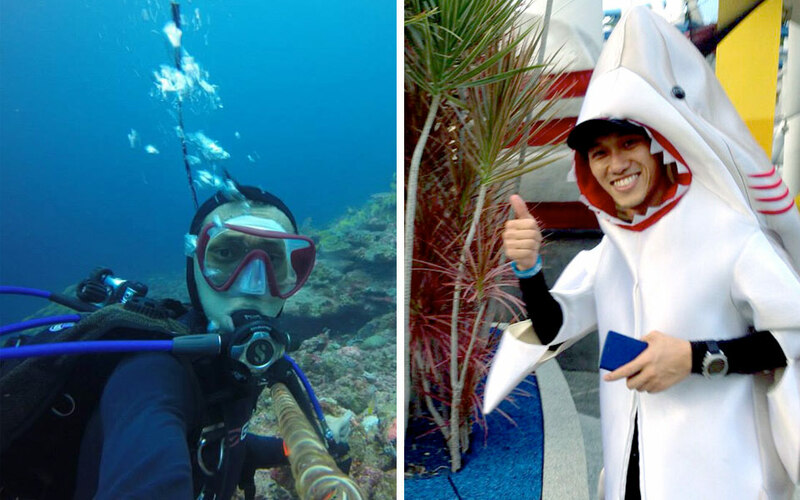 His childhood hobby is playing in water and he manages to transfer his hobby into frequent diving trips regionally. The 30 year old part-time scuba instructor has to constantly balance work, hobby and time for himself to do running. Being a scuba instructor requires much physical work and body movements in the water, like climbing, bending, carrying bulky equipment around. At the end of a dive, you must still have energy and the focus to communicate with your trainees. "I've suffered knee pain because of constant running hence (I remove adopted because according to him, swimming was his hobby as a child) swimming has become a therapy for my joints. Although swimming does help with my movement, I realised that I needed a way to proactively take care of my joints as running does make your joints wear and tear overtime." What do Priscelia and Adam Have in Common? Passion for their craft, time management, and proactive care of their physical health are what keeps them on top of their respective game. The two young individuals are at the peak of their physical youth and they recognise that this is the best moment in their lives to take care of their health through proper nutrition and supplementation so that their bodies can handle their hectic, passion-driven lifestyles and enjoy their physical movement peak for longer. 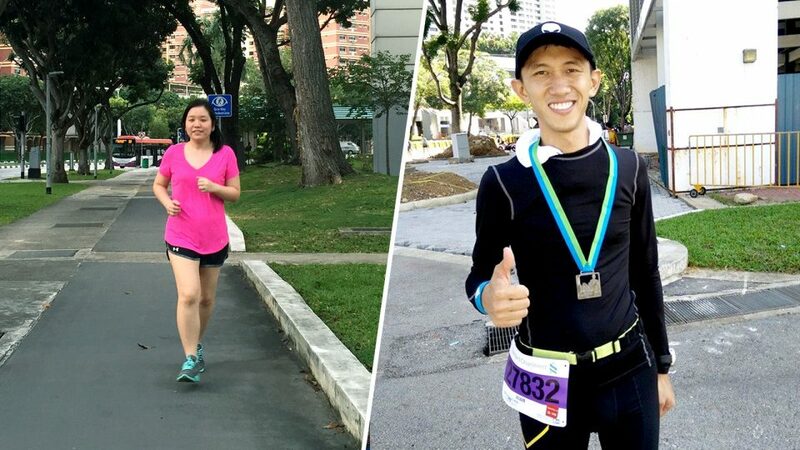 Priscelia and Adam know that if they don't give attention to nutritional supplementation, they won't be able to perform well in their work and their love for running because aches and pains can definitely slow them down. One nutritional supplement that works for their needs is Kordels BiovaFlex® Egg Membrane. These two accomplished individuals turn to Kordel's BiovaFlex® Egg Membrane as their proactive nutrition to keep their healthy joints in good motion and protect from future wear and tear. Running and the very physically demanding aspects of their work make their joints work more, that is why nourishing it is important to keep it in good shape, and avoid the aches and pains in the future. Kordel's BiovaFlex® Egg Membrane gives Priscelia and Adam good range of motion on their joints that improves flexibility on their upper and lower body movements. Whether Priscelia runs 10 kilometres to test a new pair of running shoes or Adam swims and dives to explore underwater, they know that they can do more and feel better at the end of the day. Kordel's is known as the joint care specialist. The brand's leadership in joint care nutrition began years ago with one glucosamine supplement. Today, it is proud to include Kordel's BiovaFlex® Egg Membrane in their Joint Care range. Its fast-acting*, natural and clinically-proven ingredients keeps the cartilage healthy, providing joints with the support it needs. Kordel's BiovaFlex® Egg Membrane cares for your joints all ways, all the way. Just look for the yellow box. Grab 25% OFF* on selected Kordel's Products when you purchase at Lazada Singapore with our exclusive discount code. RUNKORDELSValid until 31 December 2016. *Valid from 1st September until 31st December 2016. Not applicable on promotion packs and Kordel’s Effervescent Vitamin C 1000mg + Zinc Passion fruit and Orange flavours.